I am a bad bad blogger! Haven't updated for AGES! 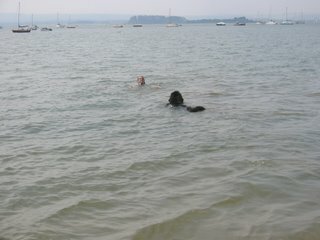 I've just had two lovely weeks off work, having a fab time out and about with the girls, including lots of swimming. These pics were taken at Hamworthy in Poole Harbour, it's nice and clean, but not a really 'touristy' beach so it's fairly quiet if you get down their early enough, but best of all dogs are allowed all year. Lola loves swimming, the next challenge is to find a smallish boat for her to learn to pull! 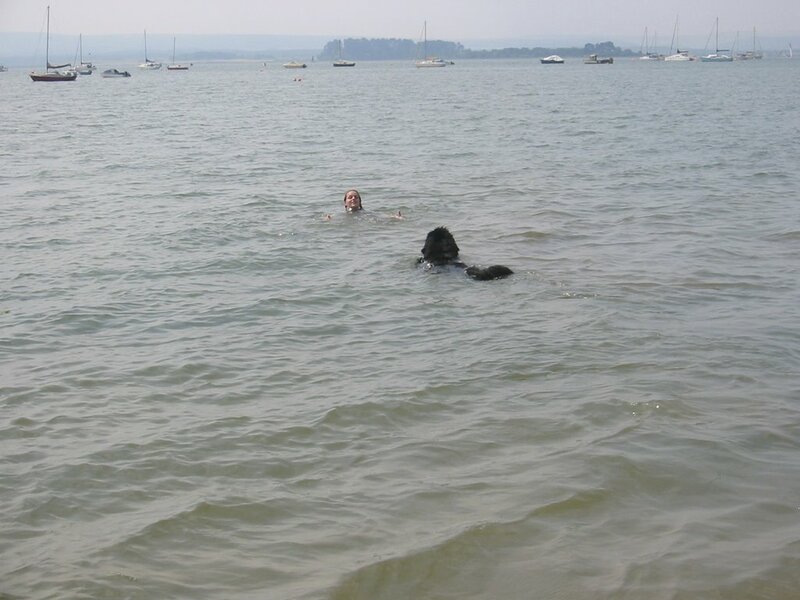 Funny how Newfs really 'get' retreiving when it involves being up to their necks in water! 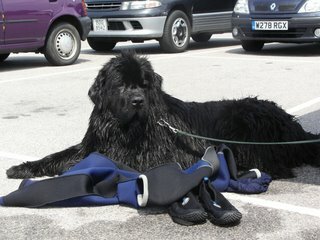 How to keep a newfie cool and other challenges!